They had good songs, a live show that was hard to top, and most definitely a look all their own. Still, despite several years of hard work, Kiss‘s career was nearly dead before it came ‘Alive!’ in 1975. For all the excitement generated among rock fans by their blood-spitting, fire-breathing, spotlight-stealing concert appearances, the masked marvel’s first three studio albums sold so poorly that their record company was close to bankruptcy. Casablanca boss Neil Bogart agreed to a “make or break” proposition for both band and label: releasing a double live album in the hopes that the thrills the band generated on stage could finally be captured on vinyl. As you know, the plan worked. 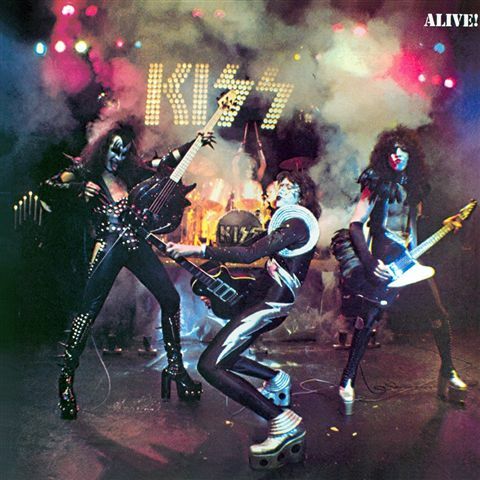 ‘Alive!’ sold millions of copies and rocketed the band to the top of the ’70s arena rock mountain.